Students from Mrs. Whitt’s class at Hannan Trace practice reading on their own during class time as part of Right to Read Week. MERCERVILLE — Students at Hannan Trace Elementary are learning about the importance of independent reading during Right to Read Week. During this week at school they are learning through different activities that are intended to teach them effective reading strategies. According to Principal Edie Bostic, the amount of time that a student spends reading independently is a strong indicator of how that student will perform throughout their academic studies and time after school. This came as a response to students that were successful readers at the third grade level, but had some gaps later on in high school. Right to Read week is part of a bigger initiative to improve students chances in and beyond school. During the week students have dress up days, a student is chosen as reader of the day, and it is all themed after the classic board game Candy Land. One day this week students will dress up as their favorite character from a book and have a chance to talk about why they like that character. Each class is also working together to write a book to promote critical thinking skills and excite the students. Through writing a book together, teachers hope that students will be encouraged to read more. One of the most exciting parts of Right to Read Week is the hook book giveaway. At the end of the week, students will get the chance to win a book that is intended to hook them into reading a book at their reading level from a longer series that is popular with kids of that age. This week-long event is part of the greater reading initiative at Hannan. The staff promotes independent reading by offering incentives weekly, monthly, quarterly, and yearly. Last year they gave away 14 bicycles as part of the program. 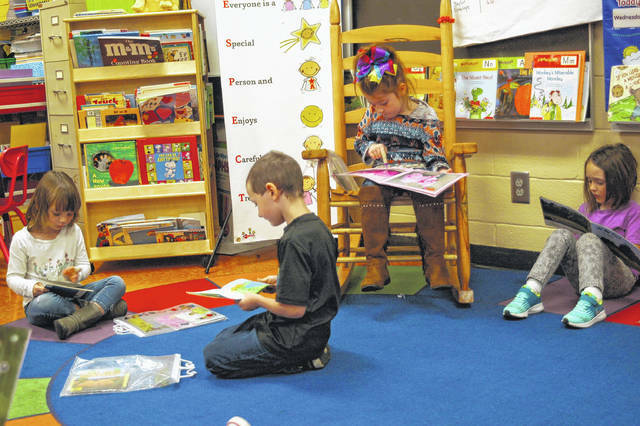 “We want people to know how important independent reading is to student success,” said Bostic.